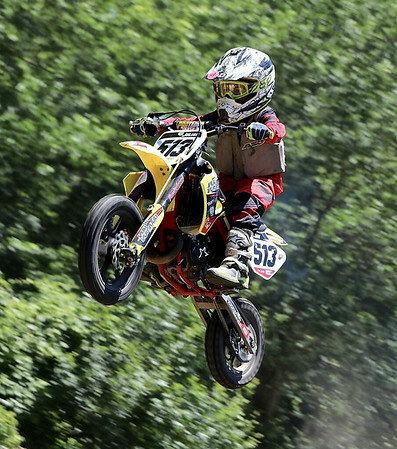 NEW BRITAIN - Julian Lozano loves to race his dirt bike and loves to compete. Now, the 7-year-old New Britain native is getting set for one of his biggest competitions. “I’m very excited and nervous,” he said. Lozano recently qualified for the largest and perhaps the most prestigious amateur motocross racing event in the world, the 37th Annual Rocky Mountain ATV/MC AMA Amateur National Motocross Championship. So Lozano and his father, Jeffery, will make the 19-hour journey to the Loretta Lynn Ranch in Hurricane Mills, Tennessee where the race will be held from July 30 to August 4. “I’m going to do my best and hope to win or be top three and on the podium,” Lozano said. But even getting to the Loretta Lynn Ranch was a tough accomplishment. Lozano took on over 22,000 hopefuls from across America to earn one of just 1,446 qualifying positions. Only the top finishers in the 57 Area Qualifiers and 13 Regional Championships earn a gate position in the National Championship race at Loretta Lynn’s. Racers may enter a wide variety of classes, from minicycle classes for children as young as 4, all the way up to a senior division for riders over 50. There are also classes for women and classes for both stock and modified machines. In total, there are 35 different divisions of competition. Lozano will compete in the highly competitive shaft driven class on his 2013 pro flo built Yamaha PW50. Lozano certainly has a good chance for a top-tier finish. The New Britain native has improved greatly over the last two and a half years since he started riding and competes nearly every weekend at several tracks in the New England Motocross (NEMX), New Capeway Sports Committee (NCSC) and Winchester Series. 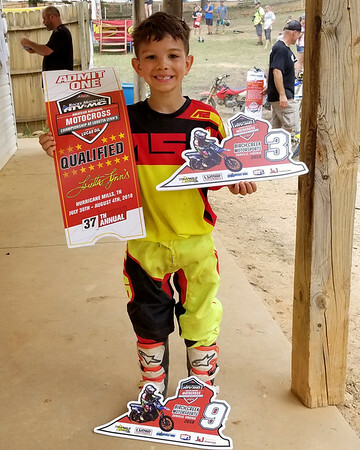 Lozano first became involved in motocross at 4-years-old and along with his siblings Jaslynn, who is five, and his older brother Jaiden, who is 10. But it was his father who first sparked the youngest Lozano’s love for the sport. Jeffery is an avid motocross racer himself and even built a small track at home for Lozano and his siblings to practice on. And as Julian gets ready for the Amateur National Motocross Championship, Jeffery knows his son will take to it like any other of his previous races. Posted in New Britain Herald, New Britain on Thursday, 26 July 2018 21:12. Updated: Thursday, 26 July 2018 21:14.